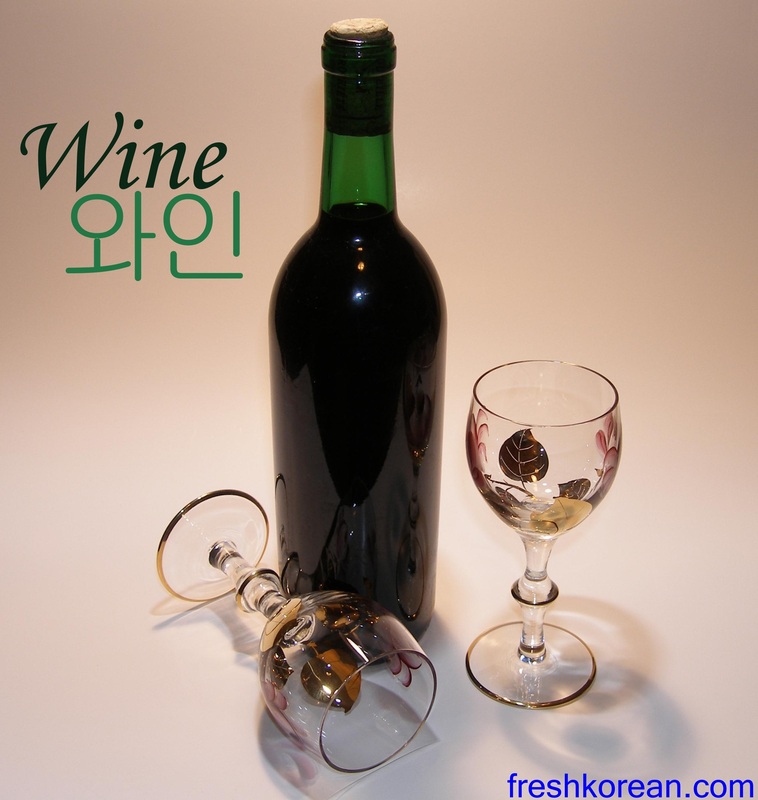 Well sadly this is the 5th and final drink related word of the day of this week, today’s word is Wine or 와인 in Korean (the pronunciation is the same). Thank you for your visit today and have a nice weekend. This entry was posted in Korean Word of the Day and tagged Bokbunja, Bucheon, Drinks, Drinks in Korean, Food, Fresh Korean, Fresh Korean Institute, Hangul, Incheon, Korea, Korean, Korean Wine, Makgeolli, Seoul, South Korea, Wine, Wine in Korean. Bookmark the permalink.